A totally feminine twist on the solitaire. 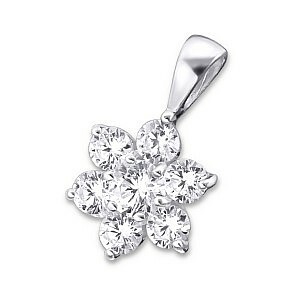 Sparkling CZ Daizie created using seven cubic zirconia in a Sterling Silver setting. Size: 9mm x 9mm Silver weight: 0.95g Threaded on a 46cm (18”) sterling silver chain.